Research@StAndrews blog: IMAGINE … could a non-party Scottish Parliament work? IMAGINE … could a non-party Scottish Parliament work? The Centre for Housing Research (CHR), School of Geography and Geosciences, will be hosting a Café Politique (format – café style public debate in an informal setting with a licensed bar, tea, coffee and cakes), entitled "IMAGINE … could a non-party Scottish Parliament work?" at the Byre Theatre in St Andrews on Wednesday, 19th November from 5:45-7:45pm as part of Parliament Week. Pre Scottish independence referendum, as the chair of the Scottish Youth Parliament (SYP), Louise Cameron was invited to talk to the Law Society of Scotland about the work of the SYP. The lawyers asked her the above question (that forms the title of the talk). At the time, Louise didn’t answer in detail. After some reflection, this informal talk is her response. The style of the discussion will be that the speaker will introduces her 20 minutes informal talk in an accessible and challenging way. The floor will then be opened up for comment, debate and discussion. The idea is not to follow a strict Q&A but to invite audience members to offer thoughts (facilitated by Kim McKee, the Director of CHR). The idea is to create an atmosphere where people can talk openly, with passion and keeping minds open to new ideas (after Newcastle Café Culture format). 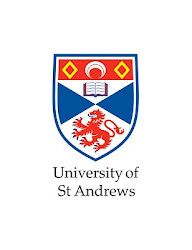 For more information please email Fionagh Thomson (fionagh.thomson@st-andrews.ac.uk). Topic: IMAGINE … could a non-party Scottish Parliament work? Parliament Week is a programme of events and activities that connect people across the UK with Parliament and democracy.